1. Guppy; This is a great fish for beginners. It is a tropical fish that produces every 30 days. They come in a variety of colors and are quite easy to manage and feed. They are great with live plants and love to move around in the water showing their spectacular colors. 2. 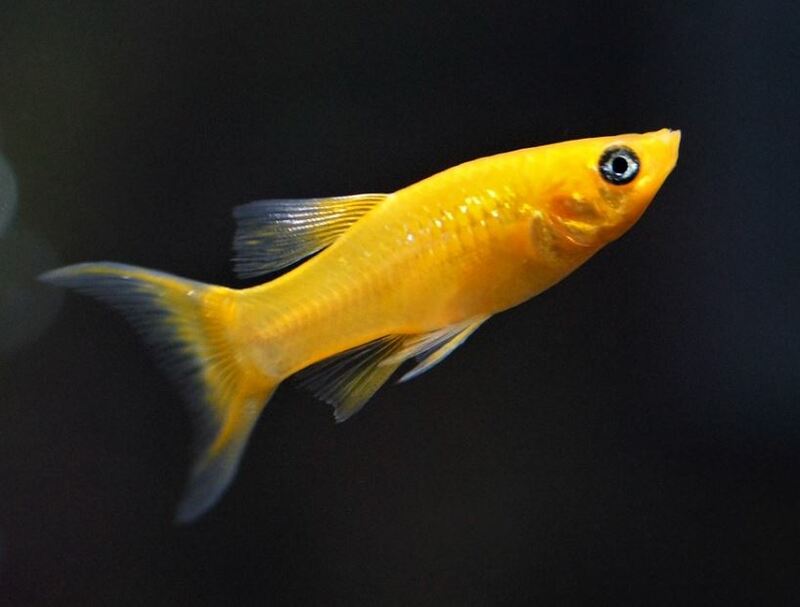 Sword Tails and Platy; These are also popular freshwater fish that are easy to keep for beginners. They come in different shapes and colors. There are also those with low fins and those with high ones. One can choose as per their liking. They keep the plant life in the tank clean as they tend to nibble at algae. They are fairly big and thus require tanks ranging from 30 to 50 gallons. 3. Betta fish; These are also quite popular in the majority of households that have aquariums. They are quite cheap and come in a variety of colors. They also have these amazing fins that they like to display as they swim about peacefully in the water. If you get this fish, make sure that you change the water regularly to reduce its toxicity. This will make the fish have a longer lifespan and also the colors will come out more beautifully when the fish is healthy. 4. Neon Tetra; these are another bunch of amazing schooling fish. They are small and thus would not require one to invest in a very large aquarium. The fact that they are small also makes them quite an easy fish to handle. They are peaceful and do not disturb any other fish that may be introduced into the tank. These are freshwater fish that are great for a planted tank as they blend in quite well with all the green vegetation. 5. Corey Fish; These are a large group of freshwater fish and thus will require a bigger tank. They come in a variety of species and they are generally very pleasant to look at. They are a peaceful breed and thus will not disturb other fish in the tank. They also tend to rummage at the bottom of the fish tank. This acts as an advantage as it helps in the filtration of the water by picking up the debris. They should be kept in minimum size groups of maybe 3 to 4 per tank. As they tend to rummage on the substrate a lot, it is best to use a substrate that is fine and smooth. Are guppy fish and discuss fish okay to put in a tank together? While it could be done I wouldn’t recommend it. The discus may eat the guppies and the water temperature required for each is very different.